Chris asked me to write a couple blog posts to give you a little insight into what went in to compiling the DVD companion to Don Williams’s amazing book “Virtuoso.” In addition to that I’ve been given the unpleasant task of introducing myself and giving a little background while trying not to sound like a salesman with my resume. I was a freelance recording engineer here in Nashville who opted for early retirement. I had a decent career for 12 years and got to work with a lot of great known and unknown artists and musicians. The music industry has changed drastically in recent years. My old job as recording engineer/producer is one that is especially being phased out so I hung up my microphones and (helped) produce a kid instead. I’m mostly a stay-at-home dad now and work part time at an old-school hardware store. In the past few years I’ve done some audio work for Lost Art Press. I mastered “The Joiner and the Cabinet Maker” and did audio restoration on “The Naked Woodworker” DVD. I come from the audio world, and I was taken aback when Chris asked me to edit a DVD about the Studley tool cabinet. I thought that it would be a chance of a lifetime, and I also thought that someone else should do it. I warned Chris of my lack of experience, but he was adamant that a woodworker should edit this DVD. I like a challenge and couldn’t pass on the opportunity. Once I started work I quickly figured out why Chris wanted a woodworker first and foremost. I was given more than eight hours of interviews and snippets, an hour of video of them unloading the cabinet and more than 60 gigabytes of pictures (an insane amount!). The DVD needed to be about an hour long. I had at least four hours of mesmerizing content that many woodworkers would love to see. Don’s passion and knowledge about Studley’s work is galvanizing. Narayan’s photographs show more intricacies and subtleties than I ever imagined. To put it mildly, given the raw materials I was handed, the blame would lie squarely on my shoulders if the end product was not entertaining and at least somewhat inspiring. The first thing I did was watch all of the footage while taking notes on everything that was said, topics covered, tools discussed, even outtake conversations between Don, Narayan and Chris (I had hoped to decipher the location of the collection given this insider information… I still have no clue). After that I watched all of the footage again and began to pull my favorite bits, organizing them by subject. The hard part was there was no outline or script for what the finished video should be. Soon I realized that Don had been kind enough to write an entire book on the subject, and I decided to sort the clips into chapters that corresponded with the book. This “chapter concept” might seem obvious now but at the time it was revolutionary to me and the organization of the video quickly fell into place. In the recording studio I used to pride myself for being able to assemble a vocal track or guitar solo encompassing all of the best parts of what the artist did into one “super recording” (we called them a “comp” or “composite track”). Editing this video used the same brain synapses. First, go over the multiple times someone discusses a particular subject. Whittle it down into one clip that simply states the point they were trying to make. Make sure there are no “umms” or stutters. On top of that, put mesmerizing pictures focusing on what they are talking about. The whole time keep a ukulele around to plunk out a melody or two that comes to your head… really. 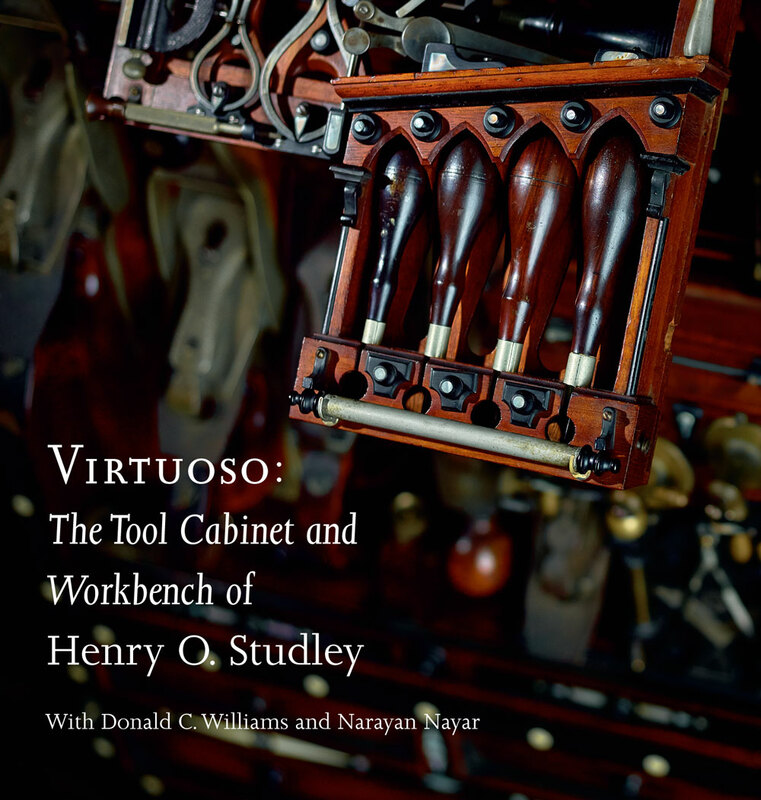 Boom… now you too can edit a DVD about Studley’s tool cabinet and workbench. In actuality it was a little more complicated than that. After the initial edit of each chapter I would come back the next night and re-edit and smooth things out a bit. Then I would add in the pictures and b-roll footage, followed by another smoothing edit, followed by the music, which I’ll discuss in another post. As with any editing project be it video, music or a furniture design it’s nearly impossible to fit all of your favorite parts in because they just don’t work with the flow or the overall narrative. A few times I found myself watching a clip over and over again trying to figure out how I could make it work. As a woodworker I would be enthralled by a clip but as an editor I knew technically it’d flow better without it. My wife would remind me that if I was getting excited about something as a woodworker chances are that the Lost Art Press faithful would as well. Those side-notes are my favorite parts of the video. I say this to illustrate the fact that first and foremost (and with the encouragement of my wife) I tried to make a video that I’d want to watch. I will always be a little bit heartbroken that I didn’t make the pilgrimage to Cedar Rapids, Iowa, for the exhibit of the cabinet and workbench. I let day-to-day life get in the way of a once-in-a-lifetime opportunity. I’m so glad that Chris offered me another once-in-a-lifetime opportunity to be a part of the telling of an amazing story. Editor’s note: We will begin taking pre-publication orders for this DVD quite soon. And we will be offering free domestic shipping during the introductory period. Much appreciated! I do feel like editing is editing. I’m not very good at creation of content but I can generally help chauffeur it where it needs to go. I have the book and the postcard. I’m not yet to the point where I NEED the video, but you’ve taken me a step closer, Ben. I look forward to hearing more from you on the subject. Are you sure you’re not related to Schwarz? That’s the way he works, y’know. I’m from Connecticut… making it impossible that our bloodlines intersect. I have been looking forward to this dvd since it was first announced but I have to say that I’m already disappointed. How can that be since I haven’t even seen it yet? The answer is, I feel like we are getting short changed on the content. You tell us there is a mountain of data, both video and pictures but you’re only giving us a teacupful. An hour and change is not nearly enough! You see I had a ticket to see the tool chest in Amana months in advance but was unable to go due to illness. This has been and will be the biggest disappointment in my woodworking life. After the announcement of the DVD I felt like an injustice would be righted. But now I feel like a man who has been lost in the wilderness starving to death who happens upon a great feast only to be given a solitary tater tot. Oh Lost Art Press, thou art cruel indeed! Whatever the ransom, I will pay it but I beg you do not stint. Hold nothing back, there is a hole in my woodworking soul that can only be filled with the Studley tool chest. Do not deny me mt chance at redemption. Please, I beg you. I have a fever and the only prescription is more tool chest. I can assure you all of the juicy bits are in there. While there was 8 hours to sift through the interviews were done years apart so there is a far bit of overlapping content. Excellent post. !! Your should also try some writing. Your description of the task really gave me and I hope others, the extreme understanding of making this video. I keep thinking I would like to do video of my projects, but then realize the time and talent involved. I keep going back to my 1,000s of pictures with written commentary and be satisfied. I was not going to purchase the DVD. Now I will. And Thank You LAP for your passion for woodworking and realizing that is the product. Much to Chris’ chagrin this little post took me probably two weeks. I’ve always been better at helping people mold content. Horrible at creating it myself. Thanks for the kind words though. I am excited about this DVD. However, I would like to cast my vote for not having background music when people are talking. I find this very distracting. The music in the trailer above is not indicative of how dramatically it is used throughout the video. I think and hope that you’ll find it tastefully done. I can assure you that was the intention. I’m orders of magnitude more coherent behind the camera than I am in front of it. Your editing made me seem articulate. I apologize for all the work it took for that to happen, and want to publicly commend you on your superpowers. I also want to ask if you are available for hire. I would like you to edit everything I say before it is said. Surely that can be done with all this newfangled technology? If that was possible I’d have the taste of foot in my mouth far less myself! Thanks for the kind words Narayan! How about an extras section on the DVD for stuff you loved but didn’t fit the flow of the documentary? Great post. I had thought about that but decided to just leave the great content in as it was. So yes there may be a few tangents from time to time but I think any woodworker would appreciate their inclusion. There is over 20 minutes of extra footage of the cabinet being unloaded. Ben, thanks for sharing your background and some insights to the process. I like to think I have some good design, composition and even editing skills. But each time I look at video editing, my head spins at the thought of sifting through real time material. Give me a stack of photos any day. But, I am so grateful that folks like you do have the ability to do this work. I am looking forward to the final production. Many thanks, Ben.